As you may suspect, there are lots of micro-budget films that don’t get into international film festivals. Some don’t fit the ‘festival type’ or are consider ‘too commercial’ for festivals, and others that just can’t afford to do a big festival circuit. They aren’t bad films; they just don’t have the cash. But why do we care about showing our work outside of Chile? The answer is simple: we have a very small market. In fact, Chile represents just a tiny percentage of the international film market share, so in order to break even or turn a profit with your film you must explore other markets. When I was developing my first feature film, ‘Saving You’ (‘Salvarte’), one of my biggest concerns was how could we reach our audience. We knew this was a small niche film that wasn’t going to be a blockbuster hit. As such, we knew that doing a ‘conventional’ theatrical 35mm release would be a big waste of time and money. It’s very hard to compete with Hollywood films that can spend twice your production budget on prints and advertising. As we all know, the ‘old model’ of distribution is a hard path to follow without a bag full of money. So why not do things in a different way? Why not just focus more on making the film available for people online, instead of concentrating on film festivals. ‘Saving You’ seemed like the perfect chance to try online distribution. We had nothing to lose. After having a small three week theatrical release with Blu-Ray copies and putting the film on DVD, VOD, and on two different paid streaming sites in Chile, we went directly to iTunes for US distribution. I’m proud to say we’re the first Chilean film on iTunes. Answering my first question: Is this all there is to Chilean cinema? Definitely no, there’s much more. 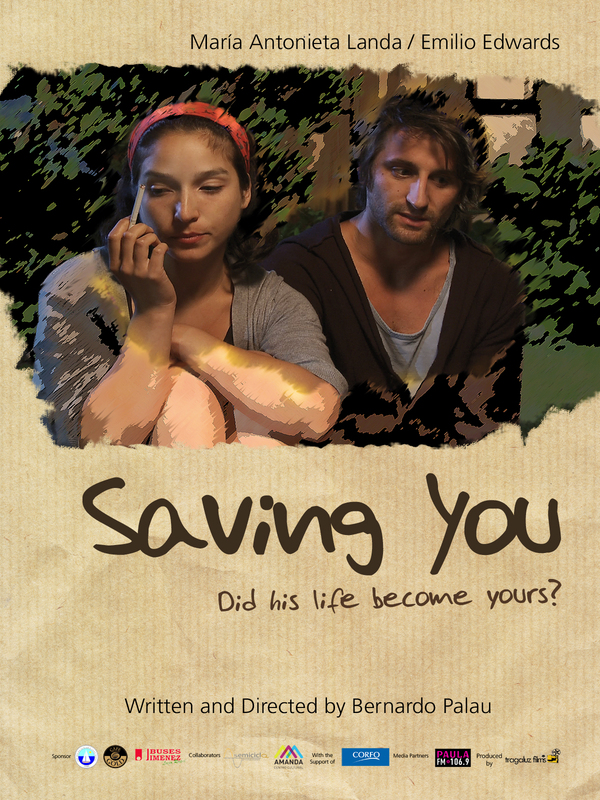 That’s why I invite you to watch ‘Saving You’ on iTunes. Saving you – English Trailer from Tragaluz Films on Vimeo. Thanks for the support. We appreciate it. Also, the website is going to be totally redesigned very soon. We are excited about its imminent launch!